Barclays believe Pound Sterling undervalued at current levels and they projected it to move higher against the Euro over coming months. The Pound recorded a fourth weekly loss gain against the Euro in the week ending 19th August. In fact, since mid May the Pound has risen against the Euro in only two of eleven weeks. 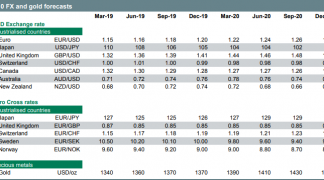 Momentum therefore remains firmly pitted against Sterling and forecasts for further declines in the pair are understandable if momentum alone is considered. But, there are some analysts who beleive a turn in fortunes for the GBP/EUR pair is nigh. To us calling a continuation of an entrenched trend is easy - we are interested in hearing from those who are willing to stick their necks out there and call a turn in trend. As such, resarch from Barclays has piqued our interest. According to analysts, the decline in trade-weighted GBP following the announcement of the Bank of England’s larger-than-expected easing package on 4th of August has taken GBP to about 10% below its pre-Brexit level. If we consider that the EUR and USD are easily the largest components of the GBP trade-weighted basket, then we can roughly imply similar amounts of undervaluation for GBP/EUR and GBP/USD. This is actually note the first time we have heard of the Pound being 10% undervalued as this month's IFO report from Lloyds Bank also observes a similar degree of undervaluation. “While GBP/EUR pulled away from its recent low below 1.16, following Theresa May’s appointment as prime minister, the overarching uncertainty over the domestic political outlook leaves sterling susceptible to bouts of volatility,” note Lloyds. It is on the point of politics that the two banks agree. Barclays estimate the GBP political risk premium is about 3.2%, i.e the Pound owes about 3.2% of the 10% undervaluation to political risks. Current Account Deficit, Damage Done? We have noted time and again the imbalance in the current account - one of the largest in the developing world owing to the UK’s heavy reliance on imports - is a major source of vulnerability for Sterling. The country imports more than it exports and it therefore relies on foreign investor flows to 'balance the books' - this balancing allows Sterling to retain value. However, since the referendum, there has emerged a fear that these foreign investor flows will dry up owing to uncertainty, thereby placing downward pressure on Sterling. Some analysts have even suggested the current account deficit would see the Pound par the Euro. The Inflation Report released by the Bank of England on 4th of the 8th did however say recent currency weakness should play a role in providing an appropriate discount for foreign investors to continue financing the UK’s current account deficit. As GBP falls so capital inflows (think ARM Holdings takeover, inbound tourism) increases. Barclays agree with the BoE's assessment and believe the weaker currency will help balance the current account to some degree. “We don’t, however, think further trade-weighted GBP weakness is necessary and forecast real effective exchange rate appreciation of about 7% by year-end amid increasing economic and political certainty,” says analyst Hamish Pepper at Barclays. GBP implied volatility - i.e. the cost of insuring against Pound volatility - has meanwhile fallen notably as Pepper reckons the market has interpreted the Bank’s actions as reducing economic uncertainty. The premium for GBP/USD puts, relative to calls, increased slightly but remains much smaller than the levels seen prior to and immediately following the EU referendum suggesting a more table Pound moving forward. With regards to further rate cuts and quantitative easing, Barclays believe there is room for further monetary stimulus to be delivered, alongside a possible moderation in the pace of fiscal consolidation. However, any further policy changes are unlikely to place a downward drag on the currency. “With the prospect of further modest GBP weakness against the USD in the near-term (~3%), trade-weighted GBP strength over the coming year will be driven by strong gains against the EUR,” says Pepper. On the other side of the equation, the Euro is expected to struggle. Barclays continue to believe a greater EUR risk premium is required to reflect political and financial stability risks within the Eurozone. Furthermore, with policy already at the lower bound, the ECB has less ability than the BoE to stimulate growth argues Pepper. 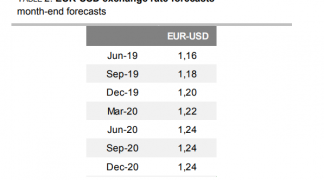 “Therefore, we remain comfortable with our forecasts for EUR/GBP to reach 0.78 by year-end,” says Pepper. This is an exchange rate of 1.28 in Pound to Euro terms. As mentioned, there are a number of big names in the analyst community who are saying the worst is now behind GBP. So far the actual impact on the economy of the EU referendum vote remains uncertain, but initial data releases since the referendum have come in above expectations suggest estimates for a recession in the second half of 2016 look overly pessimistic. Nevertheless, the GBP is almost 18% lower in trade weighted terms since last year. "Most measures of GBP-valuation start to flag severe under-valuation," say analysts at SEB. "With an adverse impact on the economy already discounted and the valuation deviating by almost 2 standard deviations, we belive most Sterling depreciation is over." However, don't bet on a strong recovery as SEB say the GBP will remain weak as long as uncertainty regarding the economy remains. This viewpoint echoes that of Intesa Sanpaolo whose latest forecasts see Sterling higher than where it is, but by no means significantly higher. 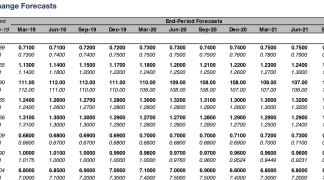 Currently, SEB expect EUR/GBP to trade ar 0.86 by the end of Q3 and 0.85 by year-end. 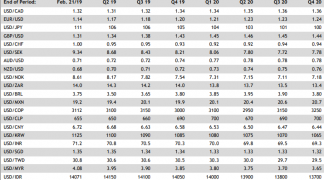 From a GBP into EUR viewpoint, this is 1.1627 by the end of Q3 and 1.1764 by the end of 2016. Their GBP/USD forecast points slightly lower towards 1.26 by the end of Q3, before ending 2016 at 1.27. However, others are cautious in calling the bottom in GBP too soon. BNP Paribas, the French banking giant, have told their clients that GBP remains extremely vulnerable. "This week’s relief rally, following robust unemployment data and the surprise rebound in July retail sales, is unlikely to prevent a sharp GDP output decline to zero in the UK that our economists forecast for the next three quarters. The retail sales jump is likely to prove a temporary, weather-related phenomenon," say BNP Paribas. The greatest risk comes from the dramatic decline in the PMI surveys for both manufacturing and non-manufacturing surveys. Both have fallen to multi–year lows and suggest the BoE will need to ease policy further. "UK output data, especially the September PMI surveys, will be pivotal for the GBP," say BNP Paribas.